Reservation Policy: Call to make a reservation. BoLD generally does not accept reservations for breakfast for groups of under 12 people. They welcome lunch and dinner reservations for their dining areas, however, they do not accept reservations for the bar. One of Breck’s newest restaurants brings an elevated brunch and delicious Mediterranean Cuisine to 9600 feet. Featuring a family-friendly atmosphere (complete with a kids’ play area), high-quality ingredients (like cage-free eggs), a gorgeous bar with an extensive menu of craft beers on tap, wines and signature cocktails, BoLD may just be the surprise restaurant you’ve been looking for in Breckenridge. Local’s Tip: Just like the name says, “BoLD” is open all day for Breakfast, Lunch, and Dinner, however, BoLD absolutely kills is with their happy hour and daily specials! Check below for what’s in store this week at BoLD. Sunday brunch DIY mimosa special! 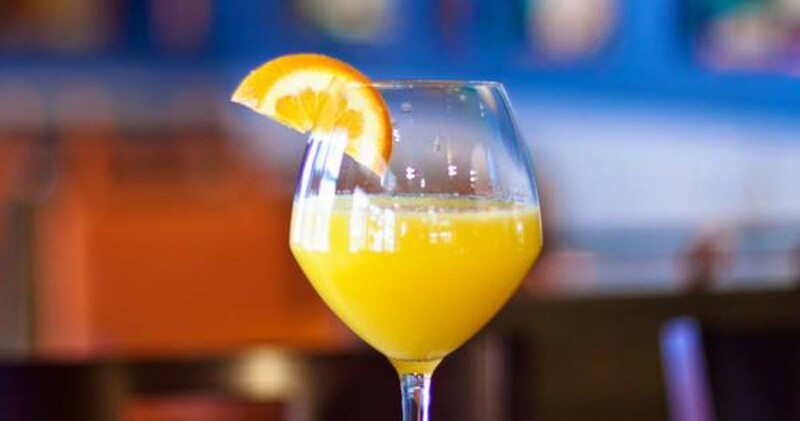 $12 for a bottle of champagne and a carafe of OJ (must purchase 2 breakfast or brunch entrees). Valid Saturdays and Sundays from 7:30am-2pm. *Tip - BoLD Restaurant and Bar also offers an incredible daily happy hour and a beautiful, dog-friendly patio!